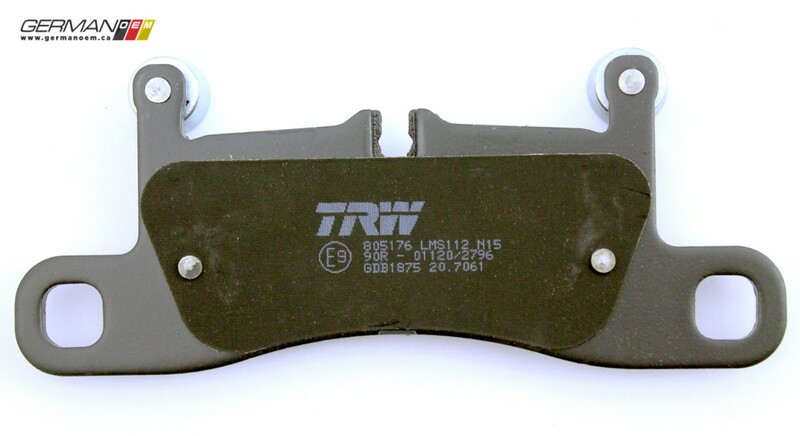 This TRW rear brake pad set is used on vehicles with the 1KQ PR-code which can be verified with a VIN search. Please email us your VIN at info@germanoem.ca for confirmation. 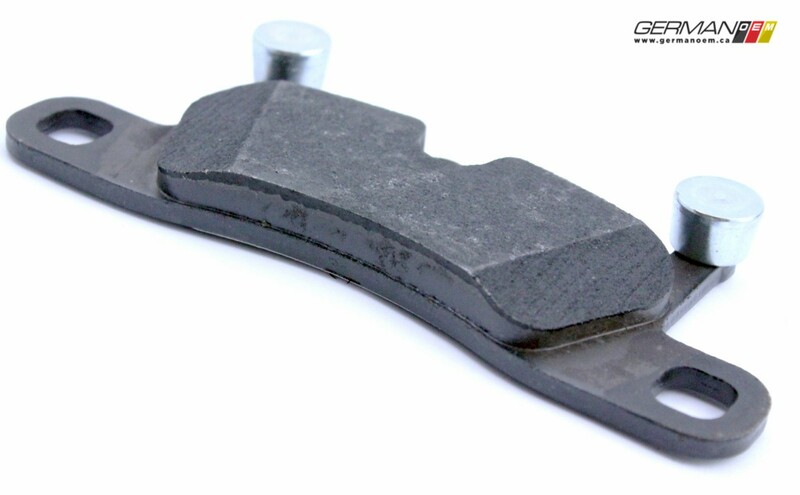 As brake pads and rotors wear, they wear grooves into each other that make them a perfect match. 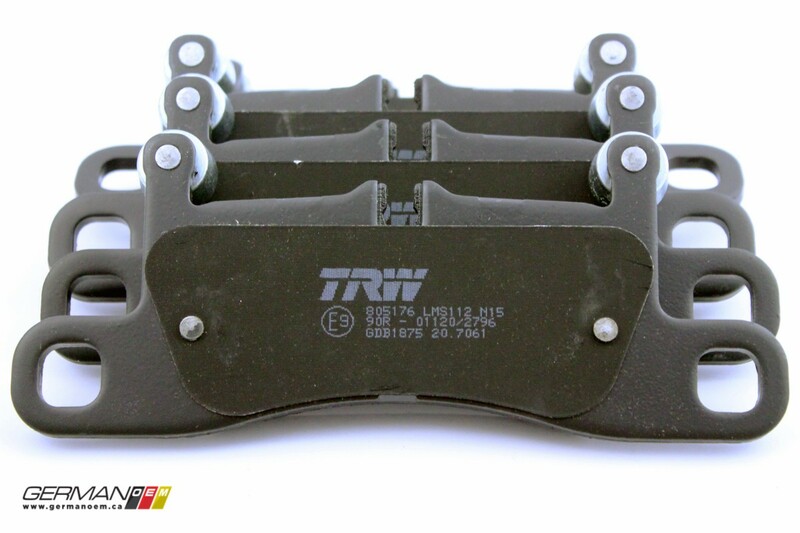 When it’s time to replace your brakes, don’t just replace your pads or your rotors. 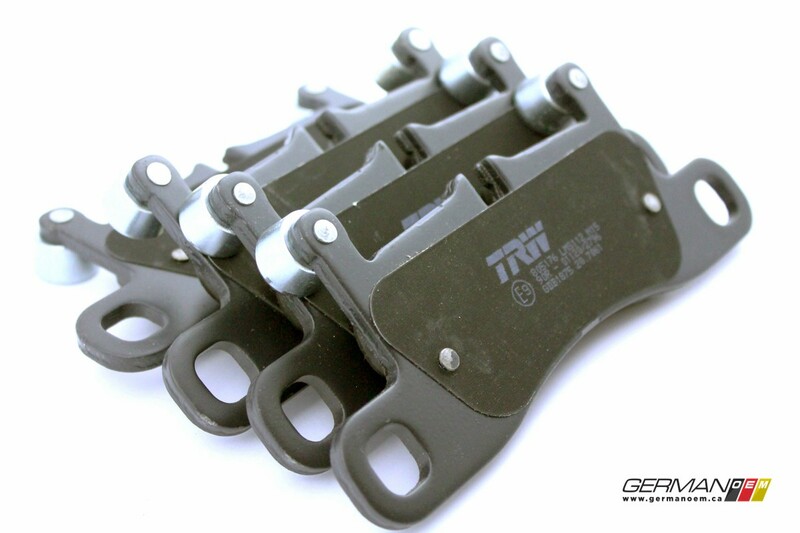 Replace them as a set so that they can create their own unique grooves. 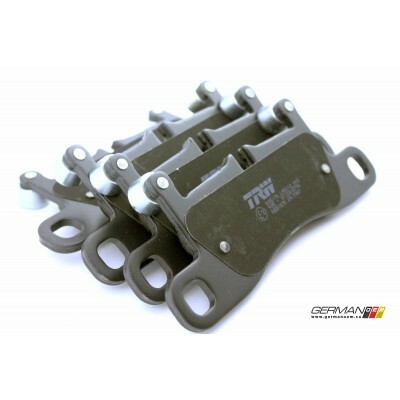 By replacing one or the other, you may prematurely wear out the new parts, and/or introduce vibrations under braking.